James Suckling believes millennials will change the way the world approaches wine. The members of his small staff of innovators are all under 30, and he relies on them heavily to influence the look and feel of his brand. 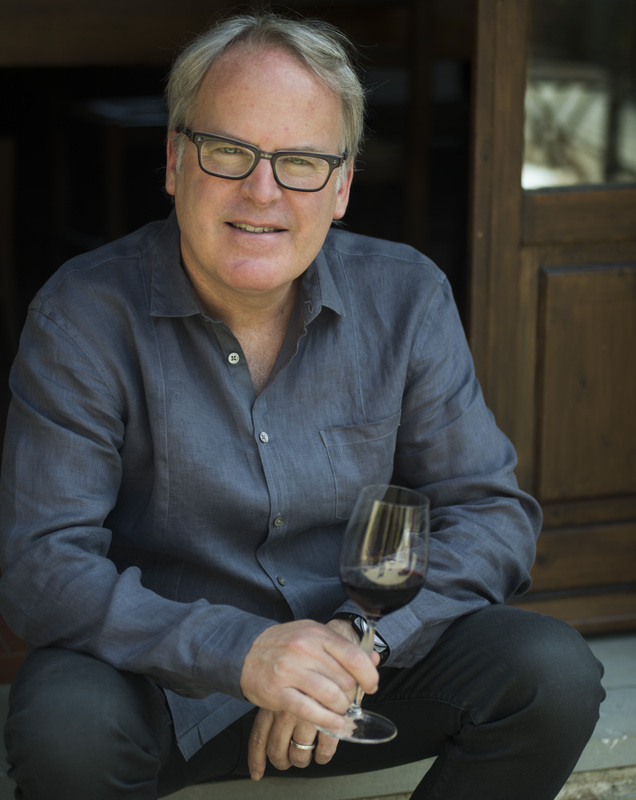 These days, James Suckling does more than write wine reviews, he produces wine-related documentaries, puts on international wine events, and collaborates with luxury designers to create new products for the wine industry. I suppose considering Asia as the wine frontier isn’t surprising when you realize the conglomerate luxury brand owner LVMH is now making wine on the border of Tibet. In fact, their wine, a Cabernet Sauvignon, Cabernet-Franc, and Merlot blend – is the first Chinese wine that won over James. James is no stranger to the luxury world. When in Italy, he lives on the Ferragamo Estate in Tuscany, and he collaborated with the family to create a leather wine briefcase to hold bottles and glasses. He partnered with Lalique to make the “The 100 Points Collection” of crystal wine glasses. The handmade briefcase and Lalique glasses combo retails for up to $8,500. But these are his side projects, not his mainstay. He’s focused on sharing his wine knowledge in every way possible. “I didn’t spend 25 years in the business not to share it,” he says. He began his post-Wine Spectator career with a website designed to offer wine education, as well as to critique wines. He wasn’t wowed by the experience. He quickly found that people were reluctant to pay for content because so much information on the internet was free, and he struggled with the rampant copyright infringement he battled. He’s brought a new approach to wine events. He has a traveling DJ, Australia’s Surahn Sidhu, who was with Empire of the Sun for several years. Sidhu’s music lends a fresh vibe to the events and crowds have been known to start impromptu dance parties–not exactly your average wine-tasting. These days, his event business takes up the greatest proportion of his time. This year alone there will be “The Great Wines of Italy” event in four US cities, and the “Bordeaux Confidential” in Hong Kong will host barrel tastings from barrels shipped overnight from Paris to Hong Kong. James believes there is an exciting movement happening with American wines. He’s working on a documentary titled “American Wine Revolution,” which looks at “how wine began in America, all the way back to the pilgrims.” It will be his third documentary. The trend to the non-jammy, lower alcohol wines is promising to James. He notes that “internationally those wines aren’t as coveted as they are in the US, they’re just too heavy.” But he says that many of the top American winemakers are now making wine in the European-style.